You must start with interior design ideas, for your room. 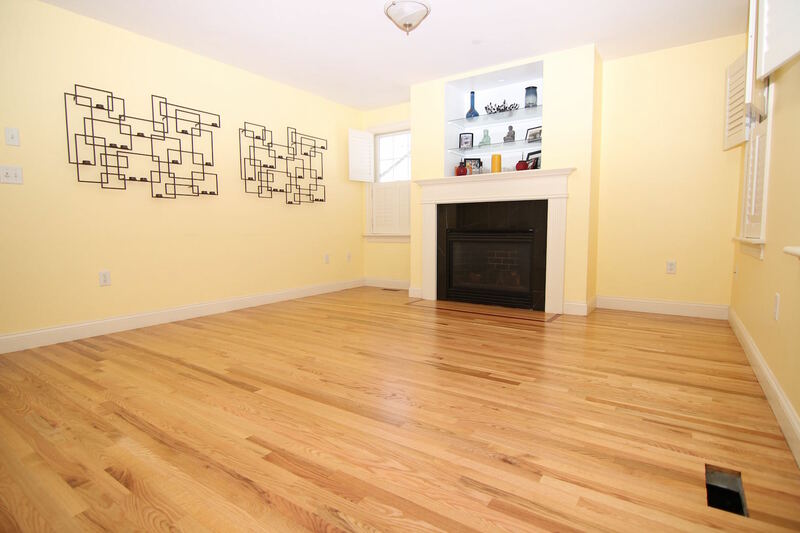 Before you can choose that perfect hardwood flooring. Gather some inspirational ideas. Put a list of the things you like and want. Search the internet and magazines. Visit sites like Houzz and Pinerest. Then start putting your ideas together. Give your old tired room a new look. Whether, it's with what you already have or something new. Give it an updated look and start enjoying your home again. You'll find Modern interior design ideas, Photos, Styles, and Trends for inspiration and help you make that important decision, choosing the right hardwood floors, for you and your family. You can design a room base on these things. You'll be able to turn that old tired, outdated room into something warm and inviting. "A place where you, your friends and family can enjoy". "Before we moved to our new place"
"We had a color scheme in mind for the rooms in our home." "-The color is the first thing in our mind when we pick out accessories." 1. Colors - From your wall covering, flooring, furnishings, and accessories. Choose colors that are inviting and will enhance the appearance of your room. 2.Windows - Give your windows a custom, formal look. Curtain designs and window trims. 3. Fabrics - Prints and texture on pillows, furnitures, drapes, and rugs. 4. Accessories - Paintings, frames, lamps, lightings etc. will give your Interior Design Ideas the proper look and feel. 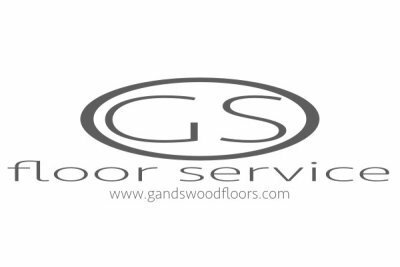 As a flooring contractor, I've seen many homes and rooms, that has given inspiration to me. So it's easy for me, to come up with an interior design ideas and my perfect hardwood flooring. With these advices, improve your design, for your ideal room and choose the perfect hardwood flooring. For more Design ideas, Kitchen ideas, and the latest trends. 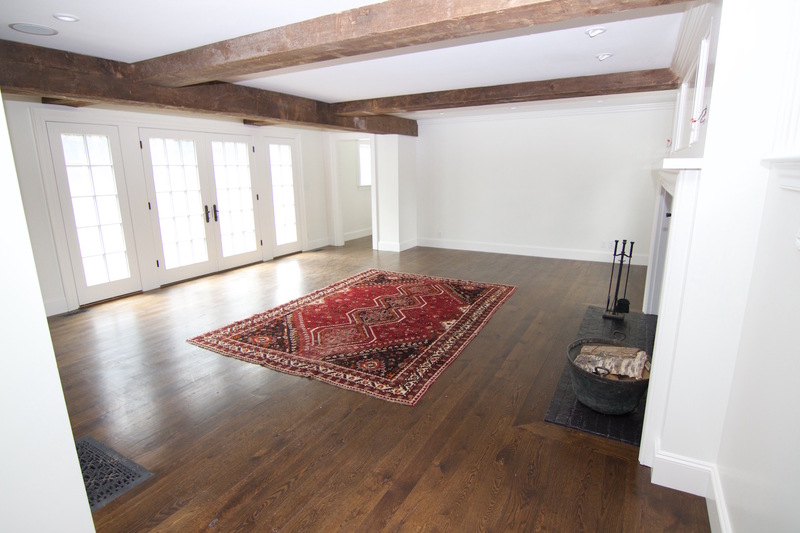 For Traditional or Country Interior Design Ideas consider using Oak Flooring, White Pine, Pumkin Pine, Heartpine, Yellow Pine, Spruce, Hickory, English Chestnut, Mahogany or hardwood flooring that are simular to these. The textured surface and characters will tie in with traditional and country style furnitures easily. Use 3" widths or wider, add stain colors to give it a little warmth or a bold look, add borders and medallions to make it extraordinary. 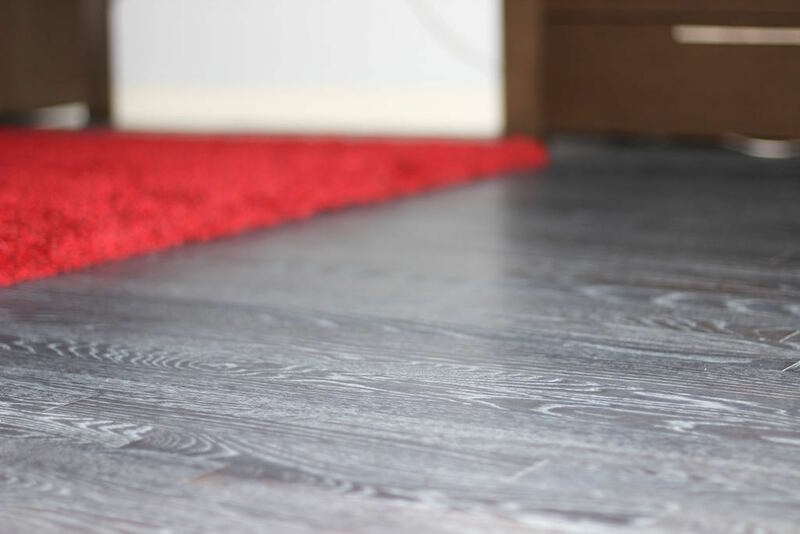 These hardwood flooring look best with the use high quality oil-base polyurethane wood floor finishes. The amber color and extra film build will give it a nice smooth surface, but still allow the character to show. The hardwood flooring looks better as the finish ages. For Contemporary, or Modern Interior Design Ideas. Use hardwood flooring such as Maple, Birch, Beech, Brazilian Cherry, Ipe, Teak, Walnut and similar hardwood flooring types. The smooth surface, texture, and color are bold and strong, which makes them perfect for contemporary or a modern interior design. Keep the flooring design simple, no need to add borders or medallions. Use widths from 2 1/4" to 5". You can also add color, use stains that are dense and vibrant in color, such as aniline dye stains. Wood dye stains will give it a more modern look. 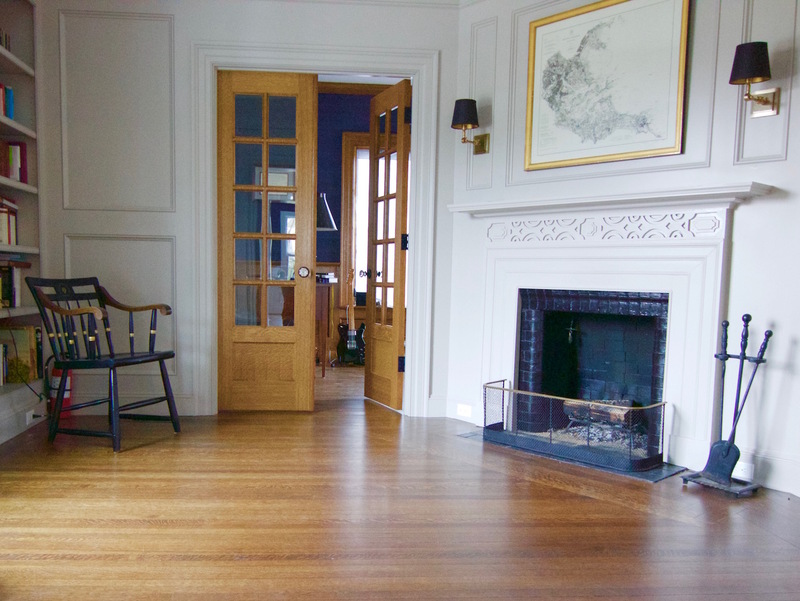 These types of hardwood floors look best with high quality water-based polyurethane wood floor finishes. The clear, thin film build will maintain and give it a more natural wood look, where as oil base polyurethane can make it look artificial and alter it's appearance. For, an Italian lacquer look use a high gloss finish. Use the above information to help you choose the right wood floor, color, and finish for the best, hardwood floor design for your home.